This article is focusing on the problems with selling essential oils like drugs. Essential oils aren’t approved as drugs in the United States. A prescription is required by a medical professional licensed to prescribe medicine in his/her State. A license to practice as a pharmacist and control a pharmacy is required. To first understand the problems we need to look at some of the ways essential oils are regulated in the United States. the words you & the manufacturer use to market the essential oil – referred to as “claims” by the Food and Drug Administration (FDA). the perception of how the essential oil is to be used by the consumer. As much as we love our all-in-one bottles of essential oils the federal agencies don’t. Accordingly, you can’t market the same bottle for multiple categories. It’s a pick one or none kind of deal. If an essential oil is sold as a cosmetic (topical use product) it cannot make structure/function claims. If an essential oil is sold with structure/function claims (supports the natural functioning of the respiratory/digestive system) it is classified as a dietary supplement and can be sold in pre-formulated capsules to be taken by mouth or in a dietary supplement bar clearly labeled not a food. If an essential oil is sold as a food and beverage flavoring ingredient it can only be used according to GRAS dilution standards to appear in products around 100-1000 parts per million. If an essential oil is sold as an over-the-counter drug it must be formulated according to the FDA’s monograph. If an essential oil is sold as an approved (new or old) drug it is sold by prescription by a licensed pharmacist in a licensed pharmacy that meets federal regulations for formulations and dosing. Please note I am not covering livestock and veterinarian use of essential oil sales as that is not an area I have researched nor do I have a great deal of interest in. Cosmetics are a classification of essential oils intended for use on the skin and body. And yes, as I’ve pointed out above, a cosmetic product cannot also be a dietary supplement and vice versa. Dietary supplement is a classification of essential oil constituents intended for use in the body. A good example of a product on the market that meets DSHEA guidelines and employs a C02 extraction of cinnamon is New Chapter brand’s Cinnamon Force alongside the alcohol extraction of the herb cinnamon. Remember, an essential oil cannot be sold as both a dietary supplement and a cosmetic – the same bottle cannot be sold for skin use. Congress defined the term “dietary supplement” in the Dietary Supplement Health and Education Act (DSHEA) of 1994. A dietary supplement is a product taken by mouth that contains a “dietary ingredient” intended to supplement the diet. GRAS flavoring is a classification of essential oils that are intended to flavor foods and beverages. There’s a good bit of confusion around GRAS and essential oils – namely that GRAS doesn’t mean it is a dietary supplement and that the FFDCA has guidelines for essential oils used in flavoring foods and beverages that generally range somewhere between 10-1000 parts per million in a finished product. To get a better idea of what this looks like I recommend you read my article: Essential Oils and GRAS: What it really means. “GRAS” is an acronym for the phrase Generally Recognized As Safe. Under sections 201(s) and 409 of the Federal Food, Drug, and Cosmetic Act (the Act), any substance that is intentionally added to food is a food additive, that is subject to premarket review and approval by FDA, unless the substance is generally recognized, among qualified experts, as having been adequately shown to be safe under the conditions of its intended use, or unless the use of the substance is otherwise excluded from the definition of a food additive. For example, substances whose use meets the definition of a pesticide, a dietary ingredient of a dietary supplement, a color additive, a new animal drug, or a substance approved for such use prior to September 6, 1958, are excluded from the definition of food additive. Essential oils can also be sold in soaps, in perfumes (under the cosmetics guidelines), as air fresheners (regulated by the Consumer Product Safety Commission), and of course in OTC and new drugs. Just keep in mind that soaps, perfumes, air fresheners, diffuser blends can’t be sold with cosmetic, drug, or dietary supplement claims (i.e. you can’t sell a diffuser blend for immune support during cold and flu season). Some folks are not prepared to go to pharmacy school to sell Lavender essential oil for headaches or a cold-flu essential oil blend. Not to mention getting essential oils approved as drugs (hundreds of thousands of dollars), and have you even priced liability insurance to work as a pharmacist in this litigious country? Yeesh! You can’t make disease/condition claims without a license to practice medicine, prior approval from the FDA as a drug, a pharmacy license, and a prescription from a medical professional with a license to prescribe (since you can’t treat medical conditions, prescribe, and fill prescriptions all under the same roof). Disease/condition claims would include terms like headaches, cold/flu, cancer, high blood pressure. You can’t make drug claims without prior approval from the FDA, a pharmacy license, and a prescription from a medical professional with a license to prescribe. Drug claim examples would include terms like analgesic, expectorant, antispasmodic, antimicrobial. You can’t sell a bottle of essential oil with structure/function claims if it is to be applied to the outside of the body or inhaled unless you follow the guidelines of manufacturing an over the counter drug and then you wouldn’t have a bottle of essential oil anymore you’d have a topical OTC drug. dosing is based on the chemistry of the essential oil to determine the level of “active” ingredients in the form of specific chemical constituents. dosing is measured in milligrams and based on the weight of the average adult consumer. capsule selection is based on whether the capsule should dissolve in the stomach acid or in the lower bowels. None of these is left to the consumer to guess at. And in the end you don’t have a bottle of Lavender essential oil, you have a carefully formulated bottle of encapsulated essential oil. You still have to follow current known safety guidelines, observe laws related to manufacturing, labeling, and advertising, as well as report back to the FDA adverse events consumers have experienced. Teratogenicity – the capability to cause malformations or defects to an embryo or fetus. Hepatotoxicity – the capability to cause toxicity in the liver. Nephrotoxicity – the capability to cause toxicity in the kidneys. Carcinogenicity – the capability to cause cancer through the damage of genome or the disruption of cellular metabolic processes. The responsibility to make every effort to avoid poisoning the general population through careful regard for dosing (amount and length of use) and delivery systems is on the company’s shoulders. Think companies aren’t responsible for this? Head on over to the U.S. Department of Justice and see for yourself what kind of hot water you can get into when you combine greed, unsafe ingredients, and not following labeling laws. Scrutiny in the dietary supplements industry has skyrocketed in the past few years as consumers are reporting more adverse reactions, raw ingredients are being adulterated or contaminated, and companies are not following federal and state laws when manufacturing products for consumers. Will we lose access to essential oils in America? There is a concern felt in many branches of the essential oil and aromatic therapies industry that we may lose access to essential oils if they continue to be sold as unapproved drugs. If essential oils are deemed too dangerous because people are drinking them in water and recommending their use for ebola would it surprise any of us that the FDA pulls them all off the market? We have this amazing wellness tool and it would break my heart if we lost access to it. Not simply because my livelihood revolves around access to essential oils in my practice, aromatherapy but because they do play a role in my personal wellness care. 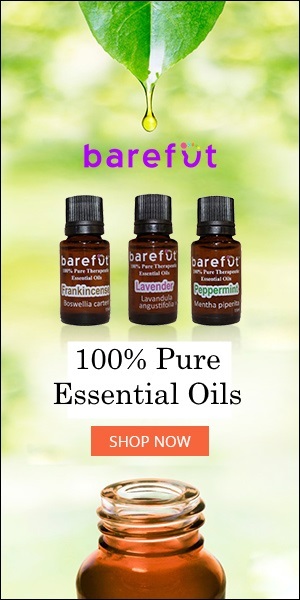 How do you sell essential oils in the United States? So, dear reader; If you need a space to commiserate on the challenges of retailing essential oils here I’m totally cool with that. I do respectfully ask that you don’t use the comments section to complain that essential oils should be legal to sell as drugs, or that so-and-so or such-and-such company is violating X number of federal laws, or to get on your soapbox about big pharma or government agencies or conspiracy theories. I appreciate your thoughtful replies and look forward to hearing from you!